In a recent Polygon interview, Captain Toad: Treasure Tracker director Shinya Hiratake shared how Captain Toad: Treasure Tracker came to be. Hiratake revealed that in the early stages of development, there were plans to make Link the main character in the game. This was due to the nature of the game – levels take place in a mini sandbox and they need someone who cannot jump. “We always think about how we can introduce 3D games to more people. We thought that Captain Toad in Super Mario 3D World was perfect because it brought in the element of searching to [Mario’s] world. We wanted to build a sandbox: a small, contained world that has a linear path, and someone that could not jump. By having a main character that couldn’t jump, we thought it would be easier for the player to explore the 3D world. Also, we would be able to contain the world and not make it too big. But at the same time, perhaps the experience of controlling the camera would also be a fun thing to try. We thought about how we could have players that are beginners control the camera and control the game. We thought that putting the whole stage in one screen and changing the camera angle could be a fun [way to play]. That way it’s … easy to approach. 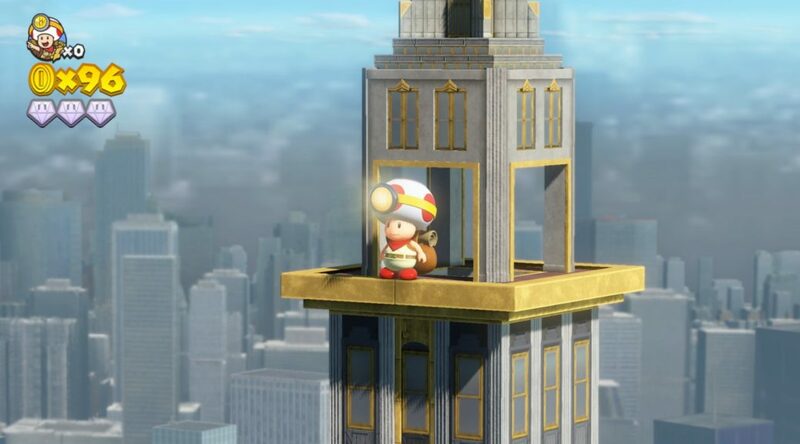 We wanted to explore that as a core mechanic of Captain Toad, and that’s how we ended up with those miniature worlds. When asked about a sequel and DLC to Captain Toad: Treasure Tracker, Hiratake said it depends on how people respond to it.